The Mayor and Town Council approved the Fire Prevention Code on October 13, 2014 and the Fire Code Inspection Policy on November 10, 2014. The Chambersburg Fire Department already implemented the Fire Prevention Code and plans to execute, with the new fire code inspection cycle, the Fire Code Inspection Policy that pertains to all commercial properties in the Borough of Chambersburg. 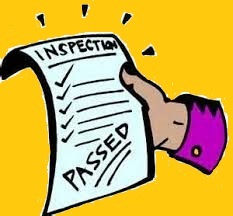 Please click to access the newly adopted Fire Code Inspection Policy listed as Inspection/Business Operation under Forms & Applications.